The Financial Conduct Authority (FCA), the UK’s financial regulator, is moving to the cloud and will be using Sopra Steria for its application maintenance services across all its major systems. Sopra Steria will support the FCA in their transition from traditional-hosted services into cloud-hosted services. The three-year contract extends the work the company’s support teams have been providing to the FCA for over ten years. 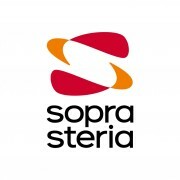 The maintenance services are planned to commence in early 2019 and will be provided from Sopra Steria’s UK and India locations, with capabilities like big data, UX and middleware as well as integration with Salesforce and Oracle technologies. This follows the company’s development and launch of the Market Data Processor (MDP) in January 2018. The MDP, built to service requirements of the new MiFID II regulation, is one of the “most industry-critical regulatory cloud platforms ever built in the UK”. The FCA says that since going live, it has already securely handled over six billion transactions as of 1 October 2018, averaging over 31 million transactions per day. The MDP was developed to enable the FCA to capture, validate, store and track millions of financial transactions conducted in the UK every day, collecting reporting activity required by new MiFID II regulation. The FCA says that the MDP marked the first time a regulator has used a cloud-based application to manage widespread regulatory filings.